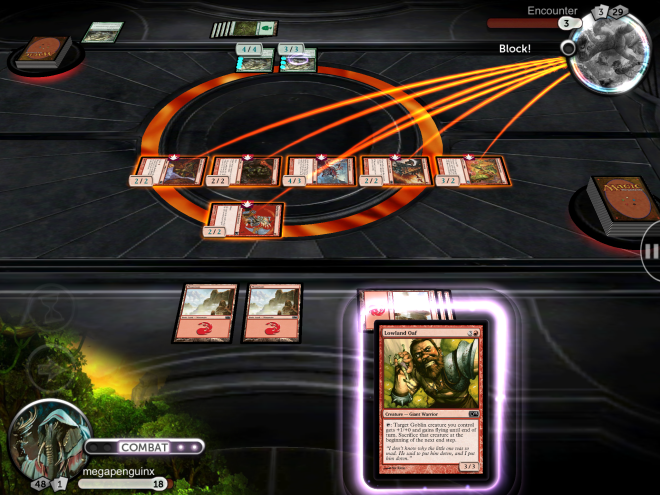 Magic 2013 is the iPad version of the popular trading-card game Magic: The Gathering (MTG). As is the case with the real-life card game, Magic 2013 involves playing a variety of creature cards, spell cards, and artifact cards in order to whittle down your opponents' health and win the game. If you have no idea how to play the traditional MTG card game, Magic 2013 is a great place to learn the ropes. If you've played MTG in the past, you'll feel right at home with Magic 2013, and you'll be able to jump into the action immediately. Here's why I think you should make that jump. The game features a robust tutorial that teaches you all the basics. If you want to learn some advanced techniques, or if you've forgotten what a certain term means, Magic 2013 also includes a glossary that you can access at any time. Even if you're very familiar with how to play MTG, I'd recommend going through the tutorial to learn the controls of the iPad game. The iPad version of the game focuses largely on the 2013 set of MTG cards, though cards from older sets also make appearances. When you first start the game, you'll only have access to two pre-made decks. 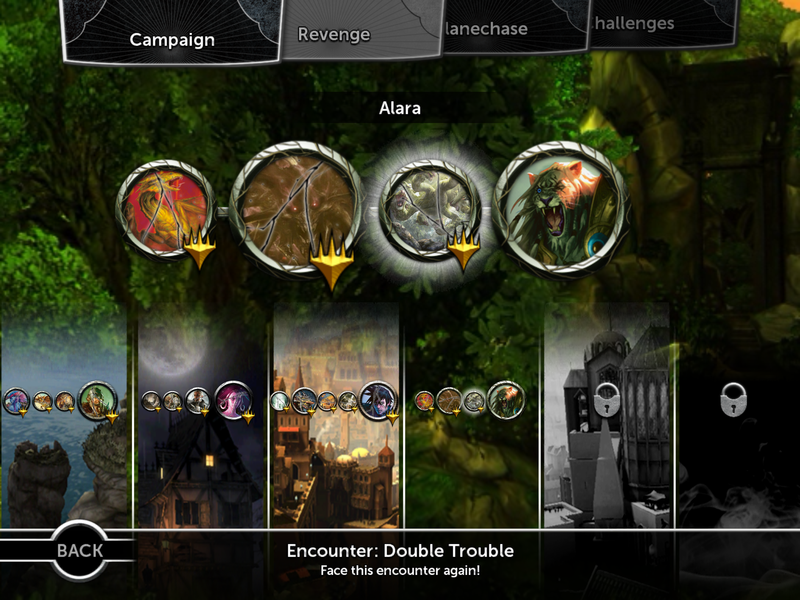 As you progress through the campaign, you'll unlock more cards and decks that you can use in both single-player campaigns and in multiplayer mode. Unfortunately, you can't build your own deck from scratch, but you're likely to find a preferred deck and stick to it for most of the game. Also missing from the fray are Planeswalker cards, something that will upset players whose strategies rely heavily on those cards. Even with those limitations, here are a few reasons why Magic 2013 is worth playing. Game modes: Aside from the aforementioned campaign and multiplayer modes, there are ten puzzle challenges that force you to think creatively in order to win. I haven't made it past the first puzzle, which requires you to defeat your opponent in just two turns. My suggestion: Finish the campaign first, then come back to the puzzles once you're more experienced. Price: Magic is free to download from the App Store, so it's much less of a risk than plopping down $12 to $20 on a deck only to find out that you don't like the game. The free version of Magic 2013 has a handful of decks and enemies for you to face, but you can unlock the full version of the game with a $10 in-app purchase. Purchasing the full version also gives you access to online multiplayer, so you'll never run out of people to play against once you've beaten all the A.I.-driven characters. Easy to learn, difficult to master: MTG is nearly 20 years old, and there's a good reason for the longevity of its popularity. The game is easy to pick up after learning the basic rules, but it's flexible enough to allow you to create your own strategy over the long haul. There are multiple ways to win a match, and part of the fun is figuring out how many different combinations of cards can lead you to victory. Free cards: If you buy the full version of Magic 2013, you'll get a promo code that you can use to pick up a special edition booster pack from participating stores (the Wizards of the Coast site has a store locator to help you find one). The booster pack comes with a special set of six cards, as well as a mythic rare card that will be initially available only to those who pay the $10 to unlock the full iPad game. Not a bad deal, especially if you collect the cards in real life. 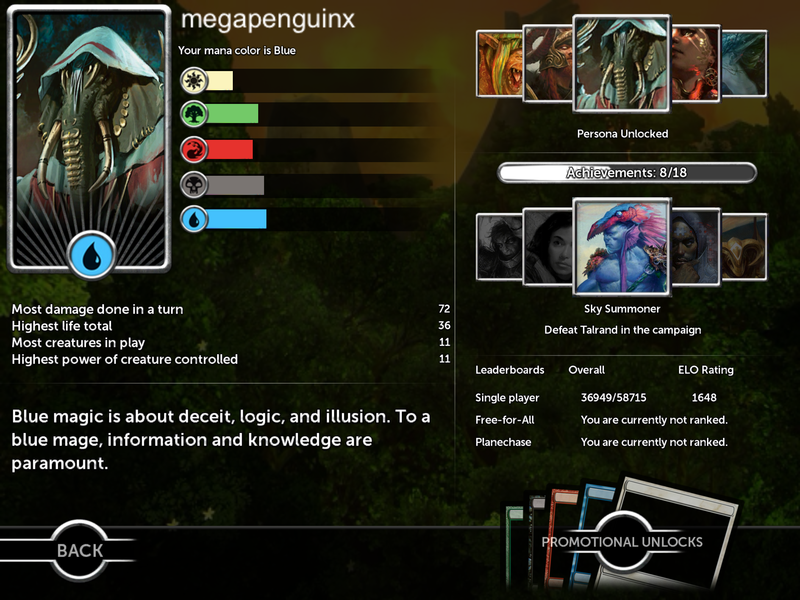 This story, "You Should Play: Magic 2013" was originally published by TechHive.